Plastic is the perfect material for membership, loyalty and gift cards. We offer plastic postcards that include one, or more, snap-off components. Besides printing perfectly, every time, they are also sturdy enough to make it through the mail all by themselves. No envelope needed! Perfect for membership cards, one mailer delivers multiple sizes: wallet, keyring and more. Include barcodes and encourage customers to use their cards. Durable plastic self-mailing postcards save you time and money by eliminating envelopes. Multiple configurations to meet different needs. Easy templates for fast production. The postcard size is 5.652" x 4.25"
Mail at USPS Standard Presort or First Class Mail rates that can vary based on quantity and location. Contact us for a postage estimate. 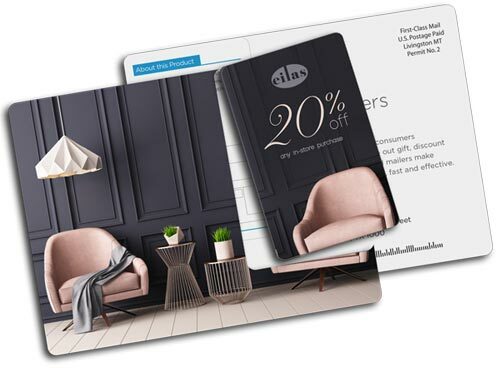 Plastic postcards can be customized for different needs, from membership cards to special discounts that are part of a direct mail campaign. Work with one of our professional designers to develop a plastic postcard that gets used. Upload your own artwork to any one of our five templates for quick turnaround—get it printed ASAP! Don't have a plastic postcard designed and ready to print? Want something a the makes clever use of the snap-outs? You've got options! If you dream it, we can do it. If you need help designing something that will surely turn heads, then our friendly and professional design team would love to tackle your toughest jobs! We have some of the best designers in the business, and everything we produce is backed up by our quality guarantee. 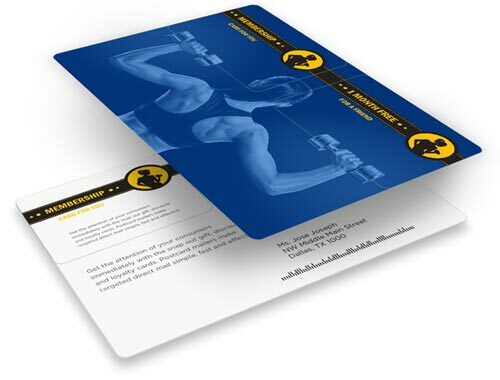 Plastic postcards are perfect for prompting customers to take action. 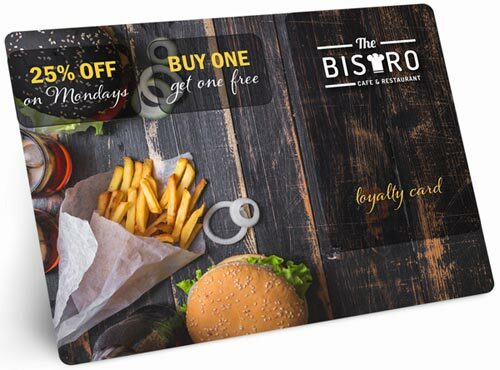 From using their membership cards, to cashing in on a discount or offer, plastic snap off cards turn heads and get used. The moment of attention they require to snap the card out buys you valuable time with a prospect or customer. Make it count by making the entire card memorable, useful and to-the-point. call our print professionals at 800-930-2423.